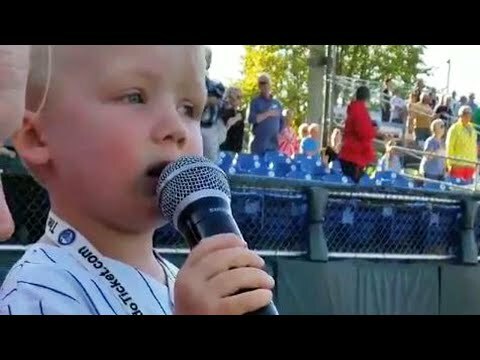 A 3-year-old boy was the real MVP at a baseball game with his rendition of the National Anthem. Drake Grillo has been practicing. His parents are season ticket holders for the Auburn Doubledays, a minor league team in New York. They are holding a fundraiser at the ballpark at the end of July for their daughter who suffers from hip dysplasia. Drake was preparing to sing at that game, but the team needed him sooner. InsideEdition.com’s Mara Montalbano (https://twitter.com/MaraMontalbano) has more.